After waiting in the wings for several months following the failed attempt to oust Chief Minister Naveen Patnaik, BJD dissident Pyarimohan Mohapatra has decided to launch Odisha Jan Morcha, a platform of ‘like-minded’ people. Interestingly, the front will work towards bringing reforms in the BJD from within. It will be formally launched by Mohapatra on October 19. The reason behind launching of the ‘morcha,’ its ideals and aims will be announced by Mohapatra then, its chief spokesperson Jagneswar Babu told this paper. Though nothing much has been spelt out clearly by Mohapatra, it is expected to attract BJD dissidents from across the State. Babu, a known Pyari loyalist in the BJD, attended a meeting at the latter’s residence to discuss the issue. 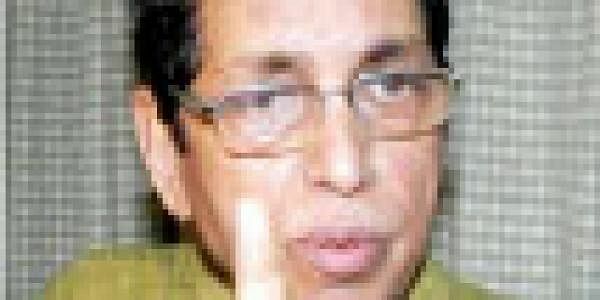 Although hinting that several BJD leaders are likely to join the ‘morcha,’ he refrained from making their names public. The names of other office-bearers will be announced by Mohapatra, who would be its president. Everything about the ‘morcha’ will be made public on that day, Babu said. Sources said leaders, who were dropped by the Chief Minister from his ministry after the May 29 attempt to unseat him, will extend tacit support to the ‘morcha.’ They may not expose themselves at this juncture, but wait till it became clear that they would not get BJD tickets in the next elections. Babu said there is nothing anti-BJD in floating the ‘morcha.’ It will only bring democratic functioning in the regional outfit, he said.